Compressing data like html, js, css before transmitting them to the visitors can speed up your sites and save you bandwidth. Recently I have updated Apache on one server from version 2.2 to 2.4 but my mod_deflate rules won’t work any more (because of changes in the new version of Apache). Nice and easy! You can add other extensions you do not want to compress to the list above and that should be it! 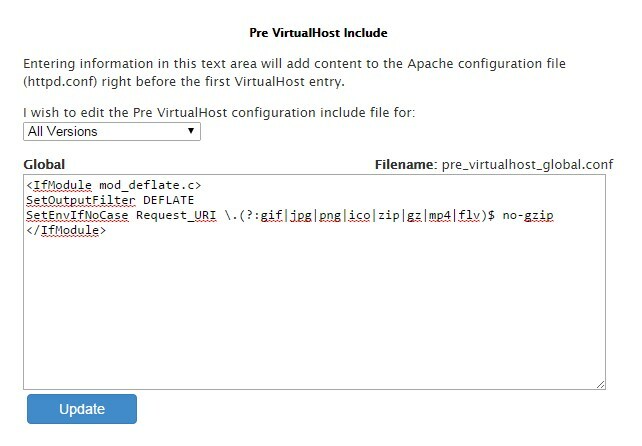 cPanel/WHM users should login to WHM then go to Service Configuration -> Apache Configuration -> Include Editor then locate Pre VirtualHost Include on the page and select All Versions from the list (or current version of the Apache in my case 2.4.10). Then simply copy paste the code above into the box, save and restart the Apache service. 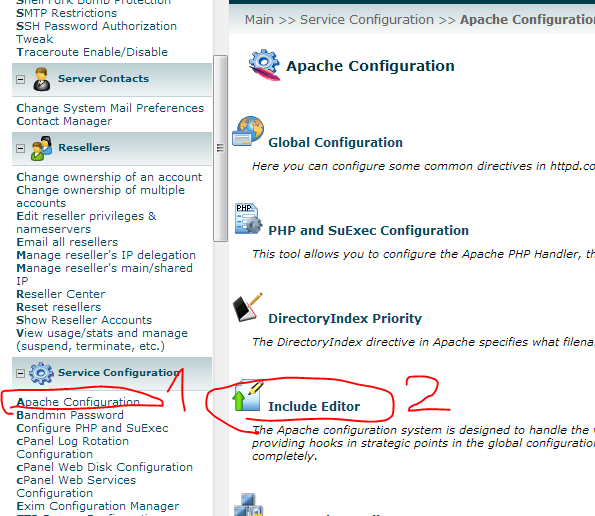 Note: The process is same for Apache 2.2 just use the appropriate code from above.